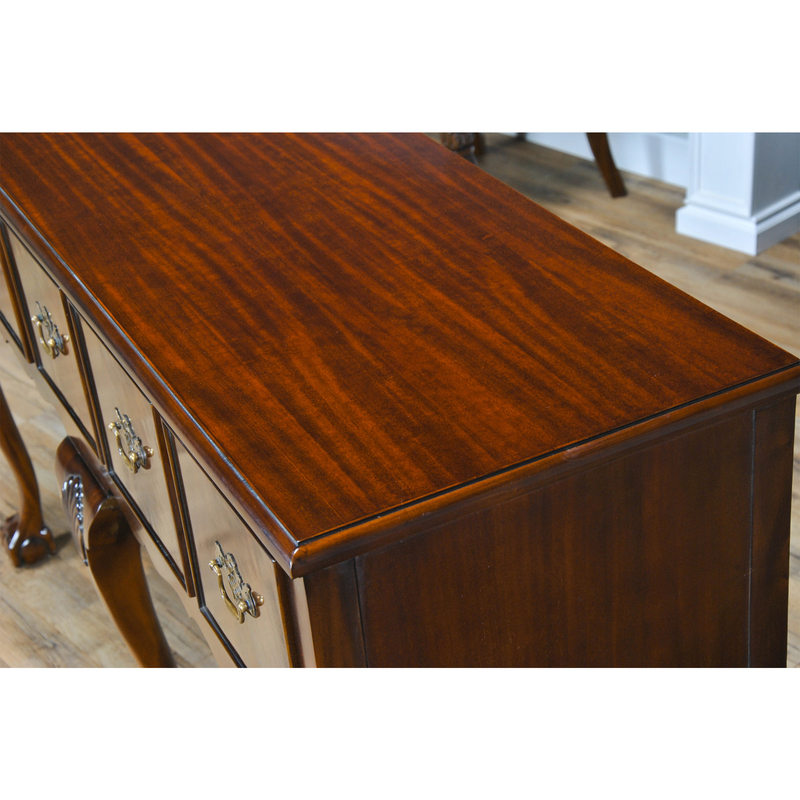 The Niagara Furniture Mahogany Hunt Board was inspired by antique pieces used in great homes in the Southern United States. 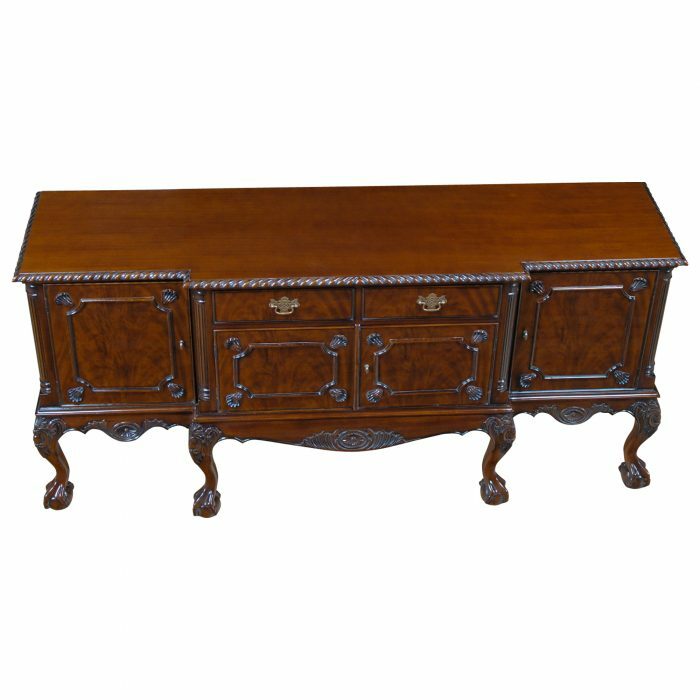 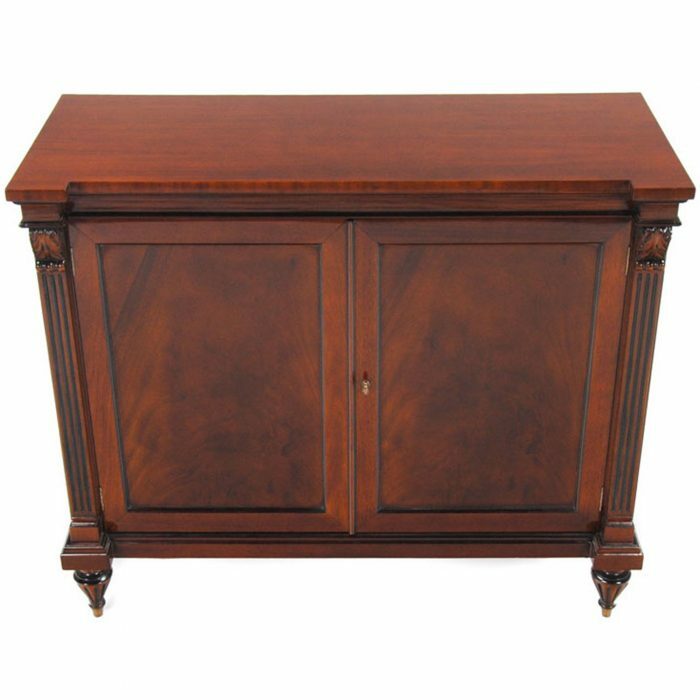 This type of sideboard is often also referred to as a Hunt Board. 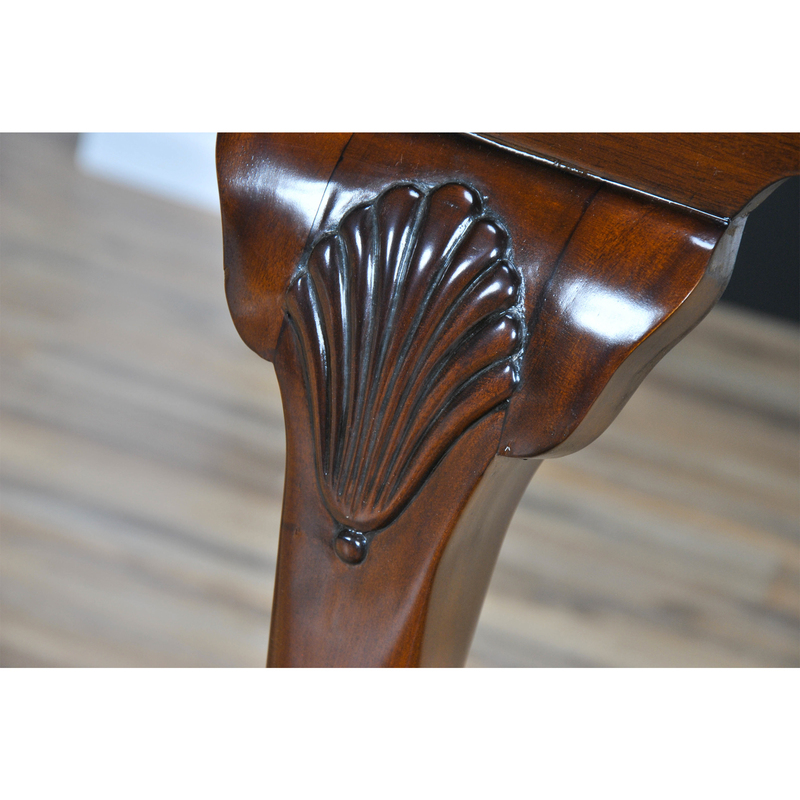 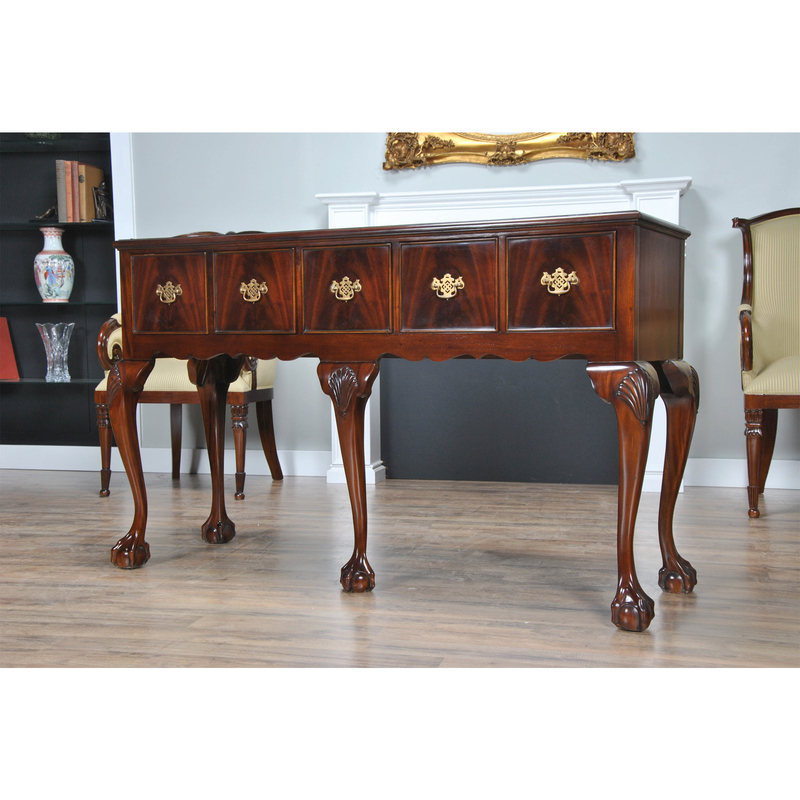 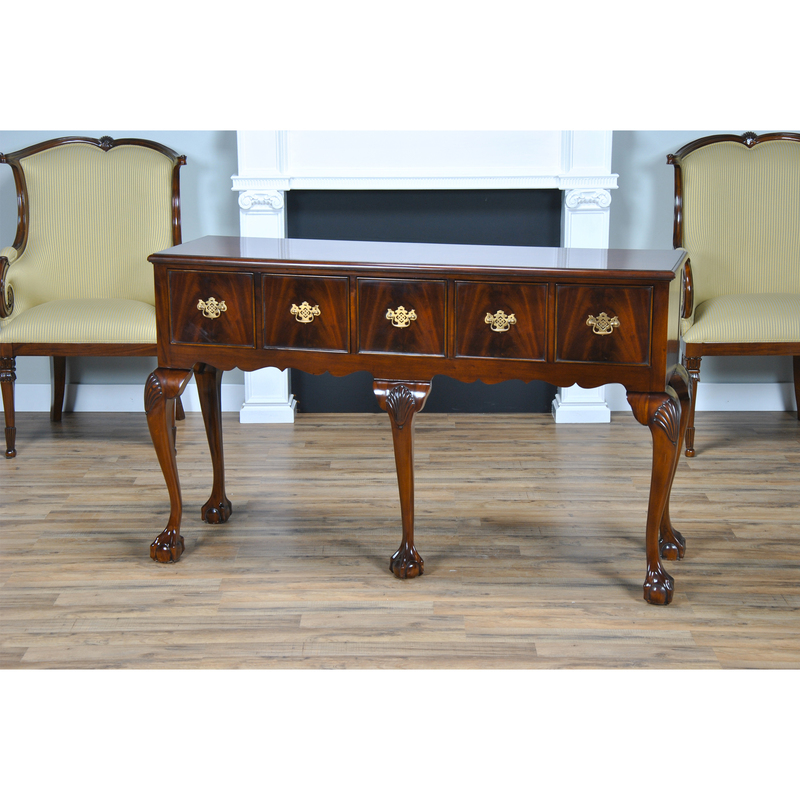 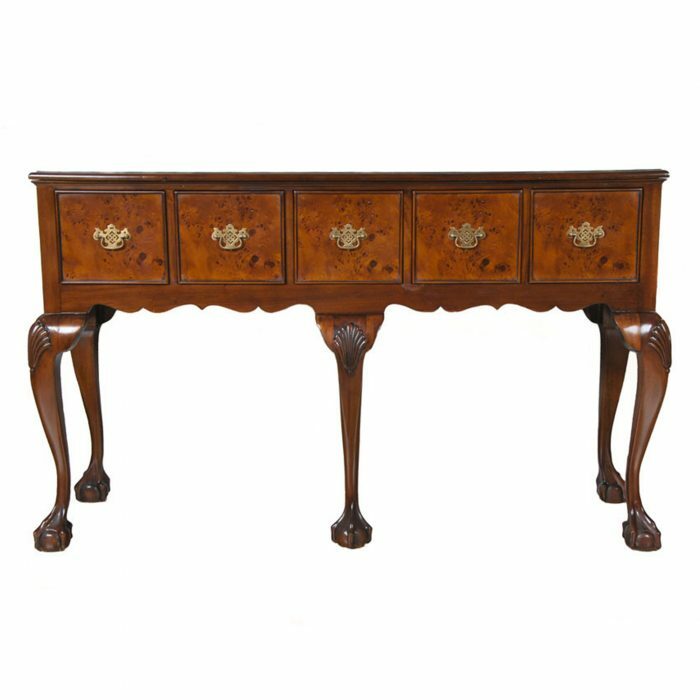 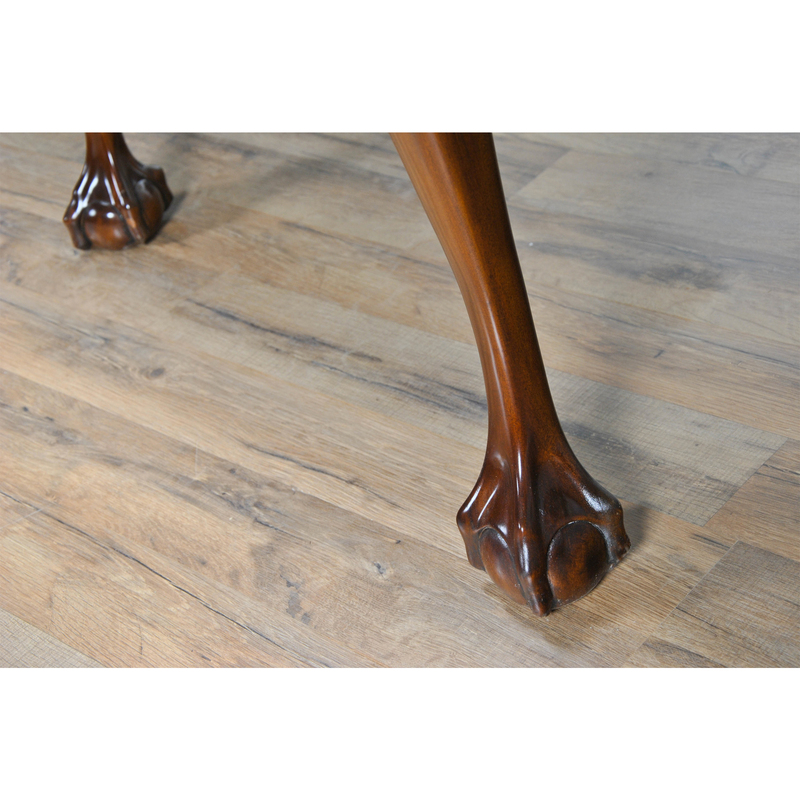 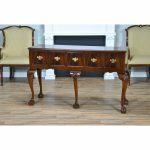 Narrow in depth the raised leg construction gives a great appearance with design features that include shells carved from solid mahogany at the knees, cabriole legs and ball and claw, Chippendale inspired feet. 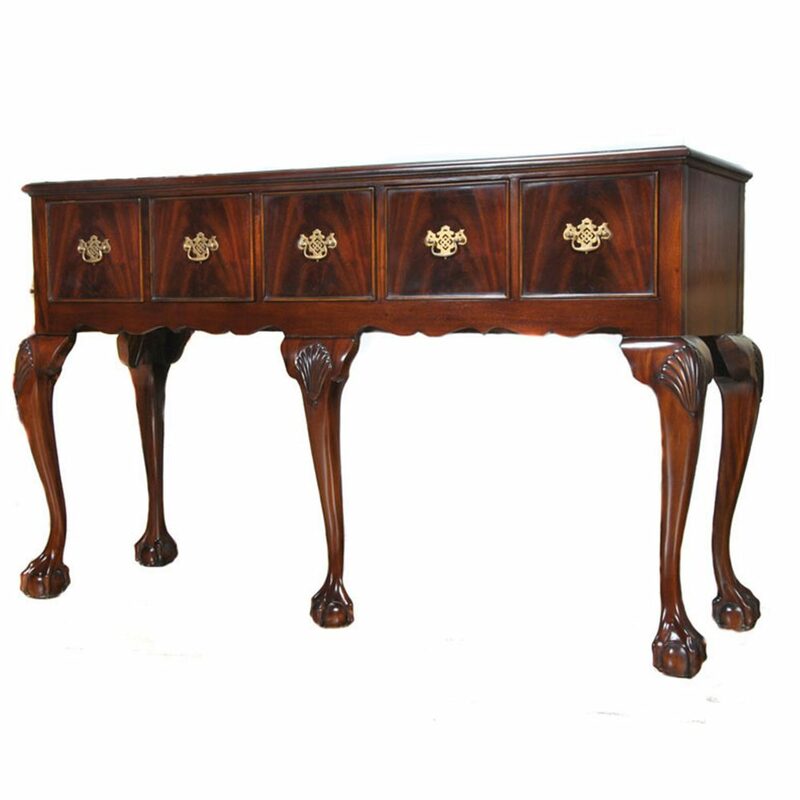 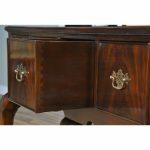 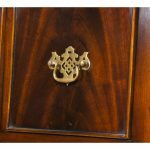 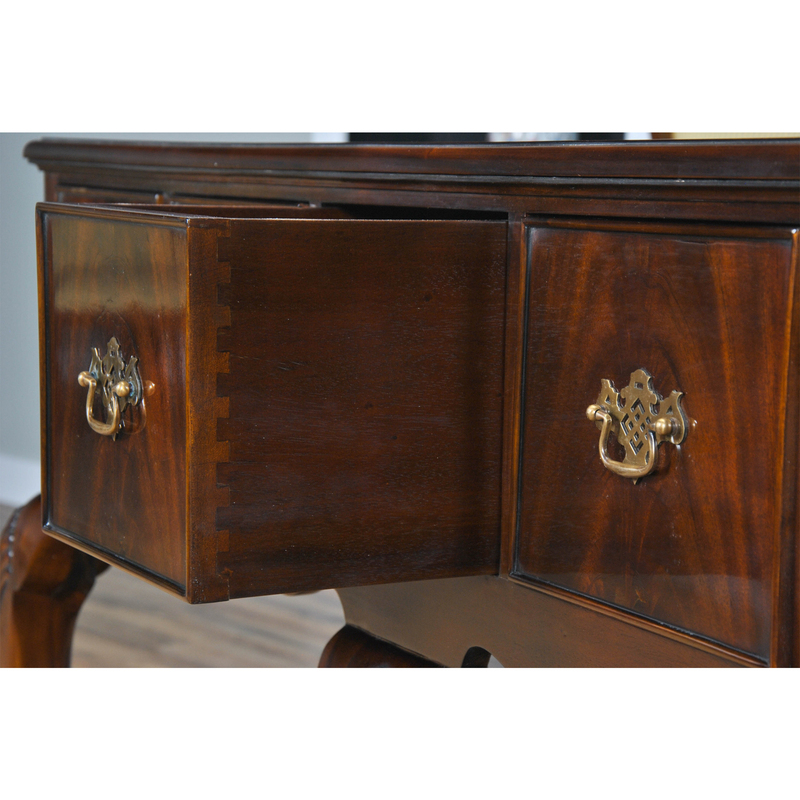 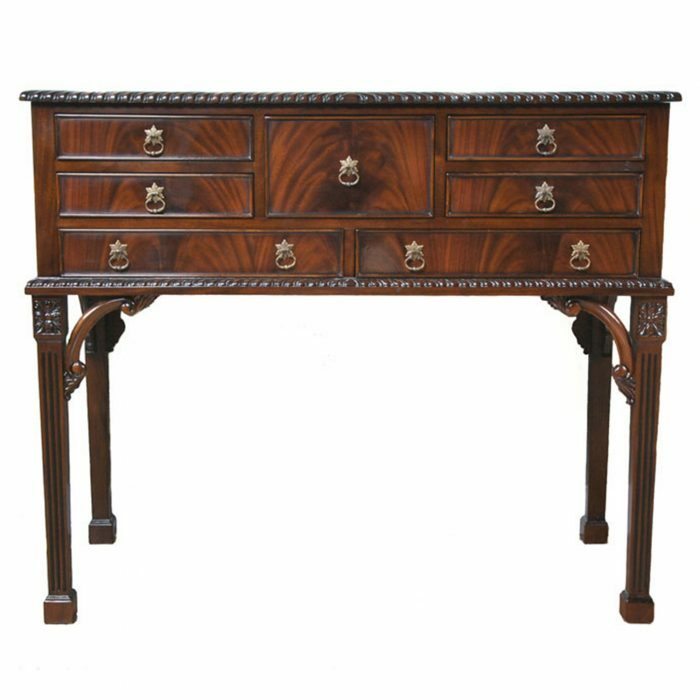 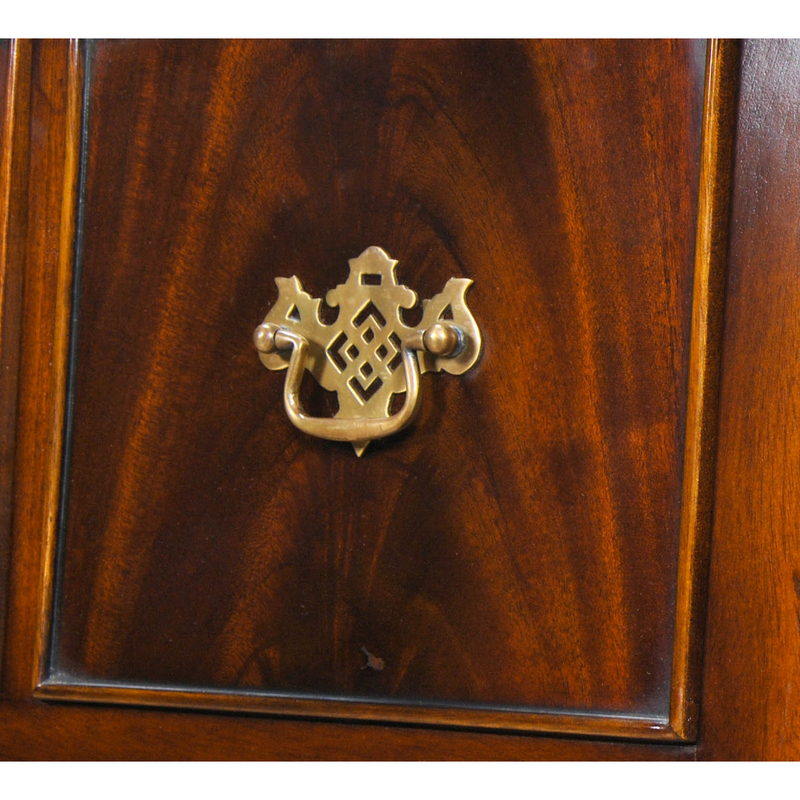 The five drawers are deep and dovetailed, the shaped skirt elegant and attractive. 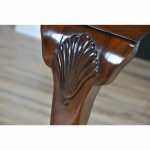 Constructed from the finest quality mahogany solids and mahogany veneers our Mahogany Hunt Board will lend itself to most any setting with protruding far into the room.